During boot camp, Martin earned a Sharpshooters’ badge. There are three levels of shooting badges; Marksmanship (basic), Sharpshooter and Expert. Martin recalls, “Shooting the standard Marine weapon of the time, the M-1 Garand, I was able to hit the target and sometimes the bullseye at 500 yards.” The M-1, a World War II vintage weapon has been described as ‘America’s Original Battle Weapon” and was accurate to 1,000 yards in the hands of an expert shooter. The year was 1961 and U.S. armed forces were gearing up quietly, but relentlessly, for combat that ultimately became the Vietnam War. It was also a tense time at the peak of the Cold War with the then-Soviet Union. Martin was assigned to the 2nd Marine Division, 10th Marines, at Camp Lejeune, North Carolina, an artillery unit brandishing the 155mm howitzer, a medium range artillery piece that was the ‘go-to’ weapon of all U.S. artillery forces. The 155mm (155 mm or 4.5 inches reflects the width of the barrel) was usually towed by a 5-ton truck. Once in place, the 155mm could propel an explosive shell more than 16,000 yards (about 9 miles). Martin’s job was to survey a suitable sight, a task called fire direction, in preparation for combat. The advent of GPS has since rendered that task unnecessary, but it was critical at the time. 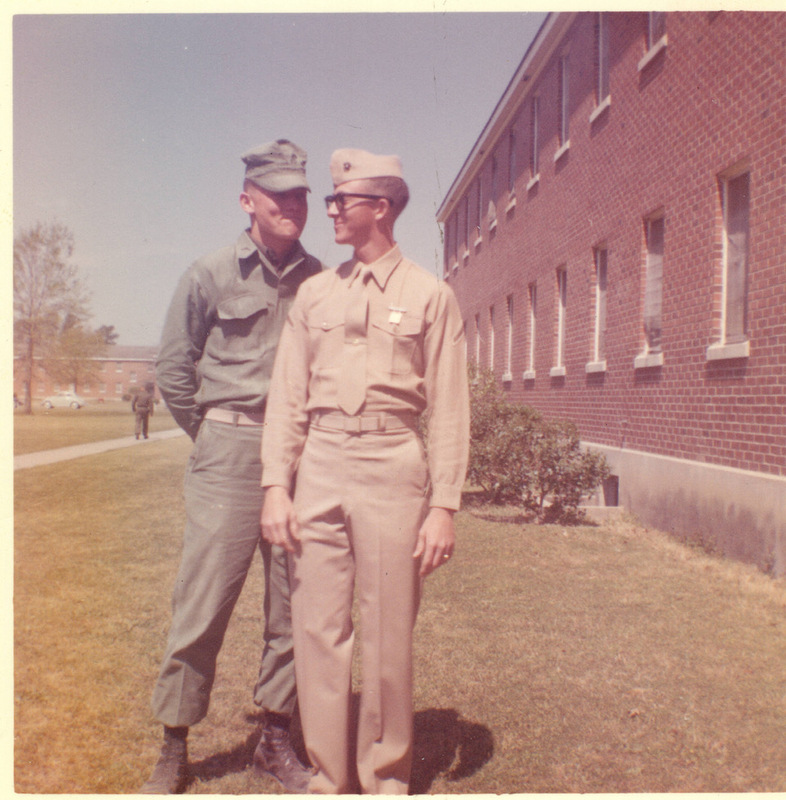 About a year into his enlistment, Martin and his unit were mobilized as the October 1962 Cuban Missile Crisis broke. His division was assigned to an LST that had been a modified World War II aircraft carrier. LST means Landing Ship, Tank. It is a vessel designed to carry tanks, artillery, vehicles, cargo and troops to support amphibious operations and that can land on shore without the aid of docks or piers. Martin’s unit was deployed on the LST for 90 days, just circling the island of Cuba. Bad weather frequently made the experience miserable. Martin recounts, “There were times when the ship would list 45% making almost everyone on board unable to walk easily and most of us dreadfully seasick.” Keep in mind that somewhere between 60% and 80% a ship will capsize in seas like that. Intelligence reports revealed that 50 Russian T-54 and T-55 tanks had been identified and assigned for destruction by Martin’s Marine Division. These battle tanks were thought to be among the most advanced anywhere at the time. Martin’s concern was that his artillery was not very mobile having to be towed into position and might quickly be destroyed by the nimble and powerful Soviet tanks. Fortunately, that kind of confrontation, of course, never happened. After his discharge in 1963, John Martin returned to Lubbock and finished his Texas Tech degree, married his wife, Annice, and raised three boys. Martin took a position with the City/School Tax office in Lubbock and served in various municipal positions including as Assistant City Manager, of Muleshoe, Texas. Evidence of Martin’s acumen with a rifle is evident throughout his Lucas home that is filled with big game trophies acquired from treks across North America and Africa. Today Martin owns and operates a stone and gravel company in Allen, Texas.